What about a sled race in this winter? 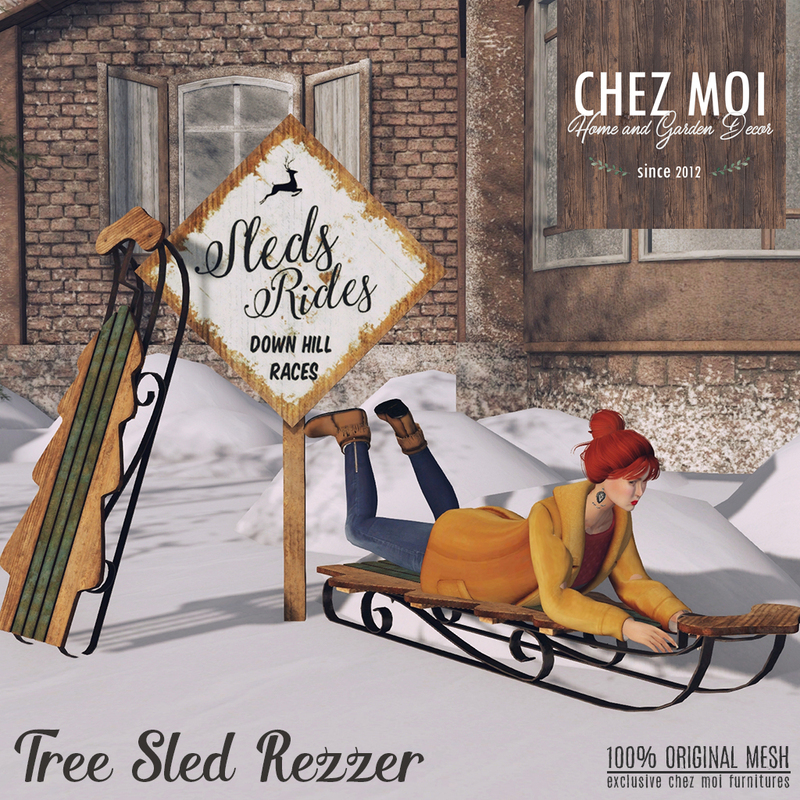 The Tree Sled Rezzer CHEZ MOI allows you and your guests to rez a sled to ride. 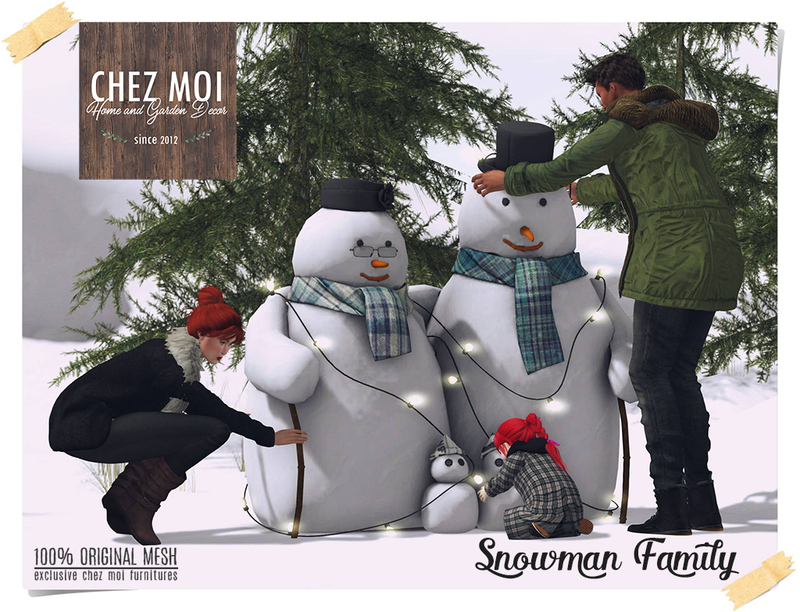 ♥ Touch the sign to rez your sled! 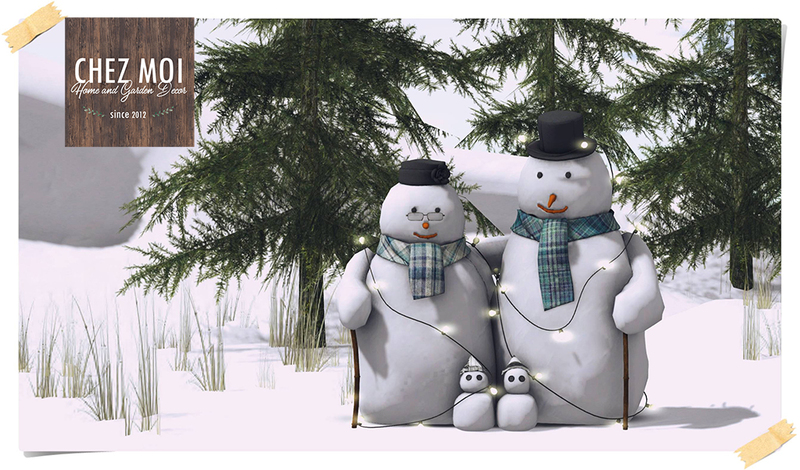 ♥ Tree Sled: 4 LI – count against land impact while in use. Important: This item is suitable for one standalone sim (not multiple sims joined).